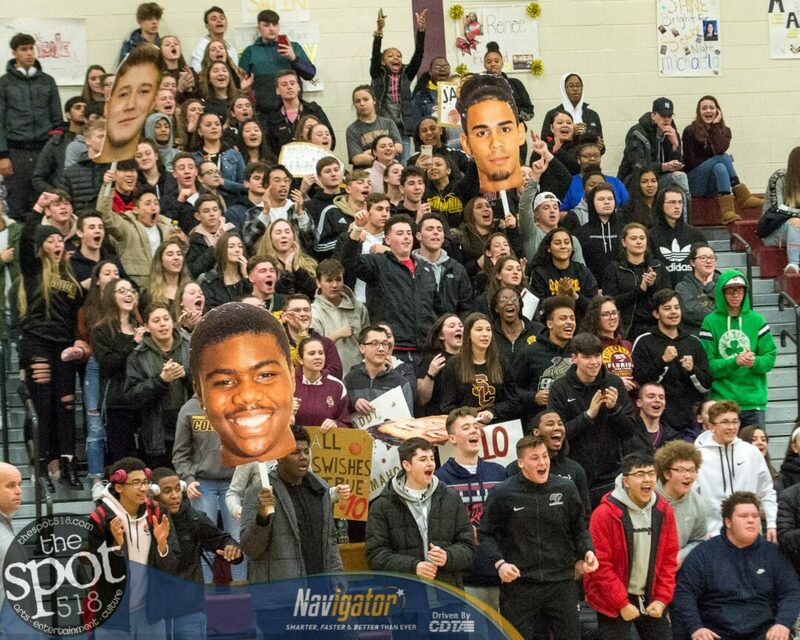 “COLONIE — On senior night, Friday, Feb. 1, in front of a near-capacity, loud crowd, the Raiders beat the Cadets of LaSalle in a non-conference matchup by a score of 52-46. Colonie’s Josh Aybar led all scorers with 17 while Aaron Smith had 13 and Brendan Cole chipped in nine each. Marcus Shelton had seven and Dylan Antoniak, Donovan Canty and Logan Scott had two each to round out the scoring for Colonie. Sean Desharnais had 12 for LaSalle while Connor Cepiel had 11 and Luke Bourgault had nine. Colonie started the season 0-5, are now 6-7 in the Suburban Council and 8-9 overall. LaSalle, of the Colonial Council, falls to 7-4, 9-7.